This was originally posted on the Military Spouse Advocacy Network blog, and I’m honored to be working with them! You can read the original post, and find more great information for those who support service members and veterans most, by going here. Ever wonder what it was like for Superman at home? He has chores and responsibilities, just like every other spouse in a mutually supportive relationship. But how does he leave the cape at the door? And how does Lois get used to him wearing the cape around the house? This is a common challenge with many active duty service members, and even a shift in roles once the veteran leaves the service. Regardless of rank or service, the majority of service members are doing what they love, what is important to them, every day. When we return home at the end of the day, we still carry some of that concern, some of that importance with us. When my wife and I met, I was already a Sergeant in the Army, and we remained married through the four deployments that happened through the rest of my career. To me, during those fifteen years that our marriage and my career overlapped, one of my primary identities was who I was in the Army. I held different positions, got promotions, moved from base to base and unit to unit, but I was always me: Sergeant France. My wife, on the other hand, knew me as my alter ego: Duane. Just as Superman or Wonder Woman was the work identity, a spouse would have known them as Clark Kent or Diana. The work that we do, the service we provide, becomes such a part of our identity, that it’s challenging to shift from one to the other if we’re not aware of it. The challenge here is that I was unaware that I was wearing my boots, my cape, in the house. 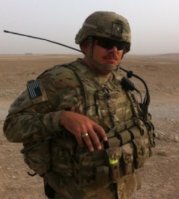 And looking back on it, I HAD to keep them on, because it would have been a hard shift for me, to have to return to Iraq and reassume that same role. At the same time, the challenge was that my wife was unaware of my need to keep my boots on. She really only saw me, Duane, and cared more about that identity than the Sergeant France role. It takes understanding and awareness on both the part of the service member and part of the spouse to be able to manage these shifting identities. Sometimes awareness comes slowly, like the slow movement of a sunrise that lights up the landscape, and sometimes it comes quickly, like the bathroom light coming on at four in the morning, jarring you out of your sleep. 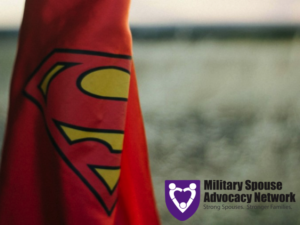 The service member can come to the understanding that there is not always a need to cling so hard to the Military role, especially at the house, and the spouse can come to understand that such a role is important to the service member. Even though Superman had all the powers in the world, he wouldn’t do what he did if he didn’t love it, didn’t enjoy it. We don’t do what we do in the military for the fame, and we certainly don’t do it for the money; we do it because we love it. Maybe not all the time, and maybe not all the way, but we do still love it, and it is extremely important and satisfying to us. At the same time, I found that it consumed me, at times, and many service members feel the same. There is little “off” time, so to speak, because the phone is always on, making the plan for the next day is always there, there is always a need to go back to what we came from. I needed to become aware that I did not have to always be “on” that I could leave the cape hanging on the hook in the hallway, that I could take my boots off and be present in my home with my family. This double awareness is what ultimately helps with these shifting roles. Have you experienced this in your own home, the challenges that come with adjusting with the shifting roles of your spouse, from Hero to Alter-Ego? What about those times when you accompanied your spouse into their world, when Lois accompanied Superman out in public? Is that a different type of shift that is difficult to make? It would be great to hear about it in the comments below. Did you enjoy this post? Please comment below and share with your network in order to join the conversation regarding veteran mental health. You may be interested in a collection of 2016 Head Space and Timing posts that you can print and share. You can sign up for updates from Head Space and Timing. Keep the conversation about #veteranmentalhealth going. Thank you for sharing with honesty a common dilemma with military marriages. Great analogy. This brought tears to my eyes and a lump in my throat (that I hide from everyone because military spouses don’t CRY) I told my husband when he left for his last deployment to Afghanistan “I would rather be a cowards wife than a hero’s widow” but it never occurred to me that I would face living with a “hero” and the layers of challenges that would bring to our lives. Thank you for your honesty and courage to put into words the reality we often do not talk about.